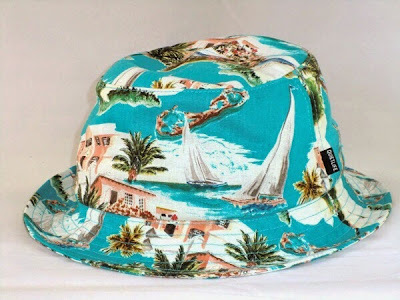 Bucket hat with Bermuda print from LA-based street wear company The Quiet Life. A few years ago when we were looking for alternatives to the ubiquitous Crocs for children, we found Native shoes. Made of soft, pliable rubber, they proved to be breathable, comfortable and extremely durable: the perfect summer shoe. 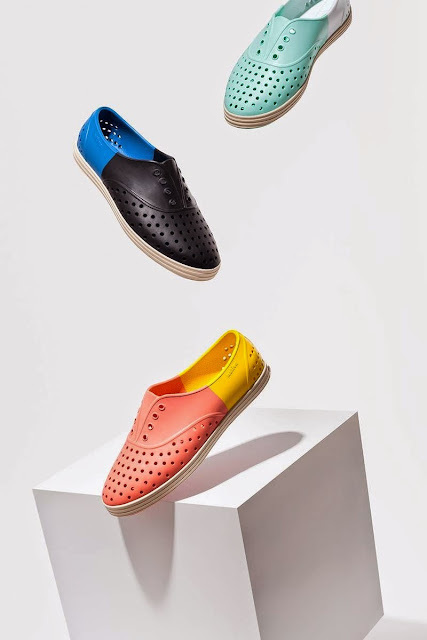 It looks like the shoe has fans in high fashion places, because via Pleats Please and Issey Miyake Native are making a strong push to capture the more discerning adult market with interesting colour combinations and polka-dot perforations. 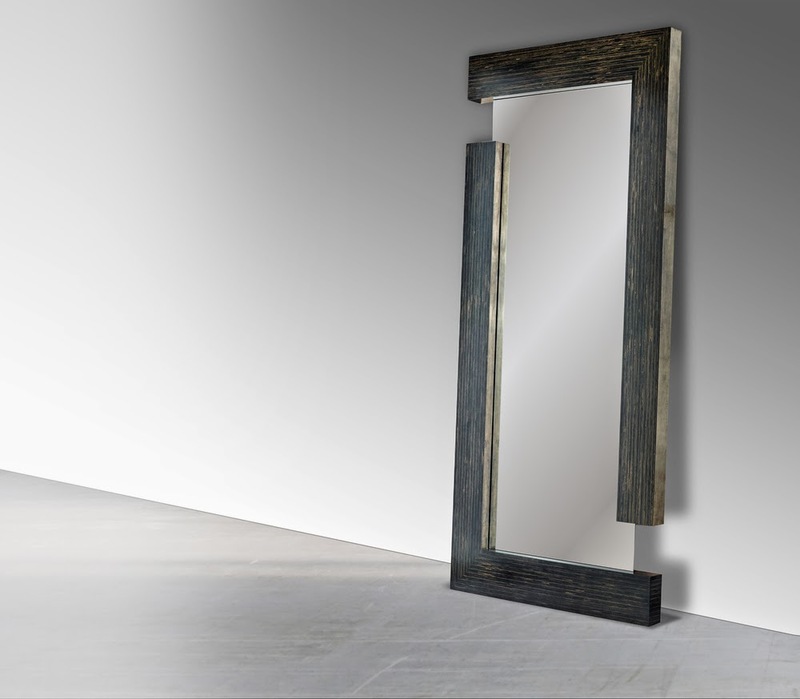 Trinidadian furniture designer Scot Sardinha's Float mirror, constructed in the stack style, gives the illusion that the mirror is floating between two unconnected geometric shapes. It is a versatile piece perfect for a living room or bedroom and can be propped against the wall or hung. 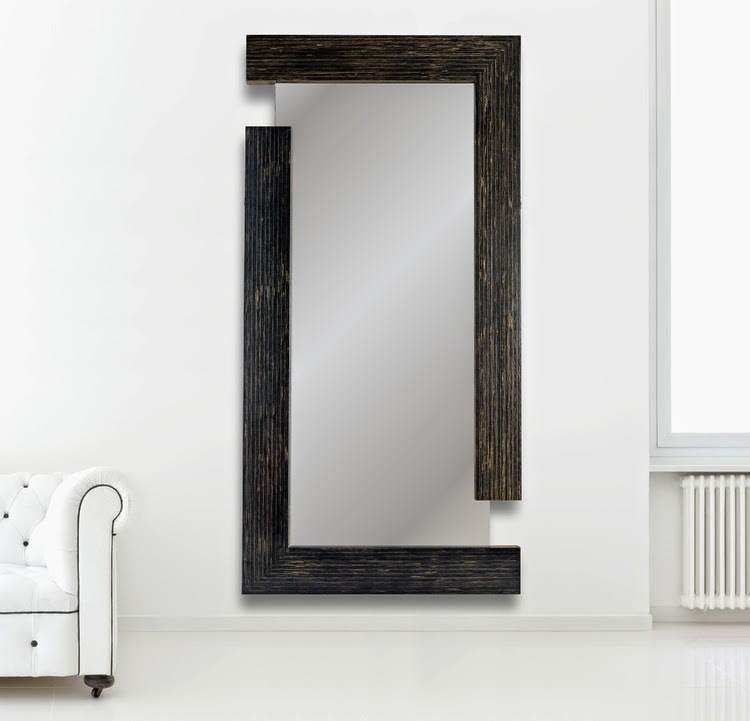 The mirror is finished in ebony and other custom finishes are available. 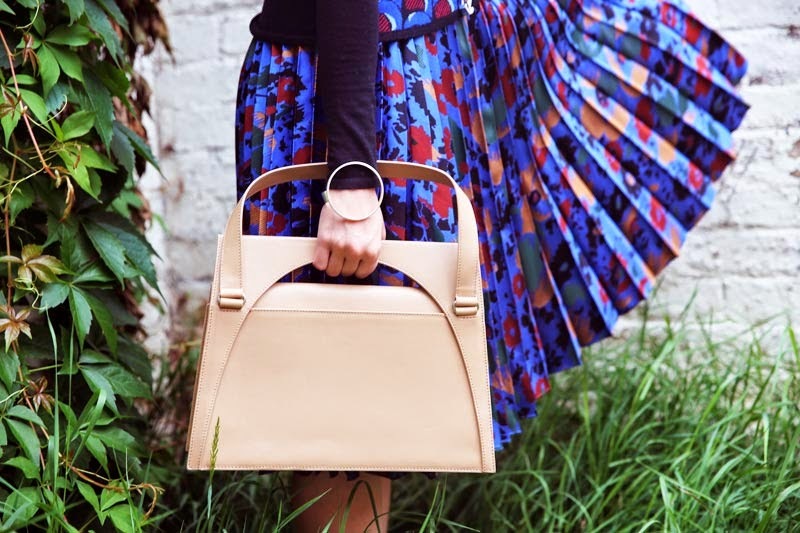 We love a structured bag more than most, so don't blame us for going weak at the knees for JW Anderson's Moon bag as modelled here by blogger Susie Bubble. This architectural bird house is designed and handcrafted in Portland, Oregon by Grovemade. The limited edition structure is made from sustainably harvested hand-sanded maple and black walnut and is finished with a waterproof protectant. 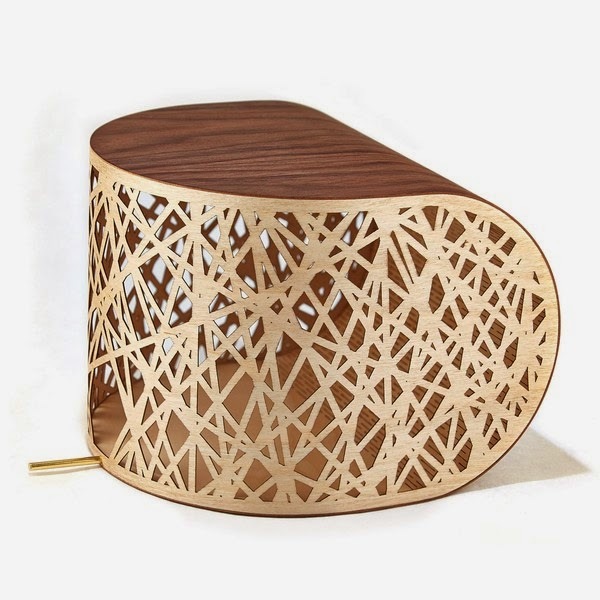 The laser cut brass front panel camouflages the entrance and is a modern interpretation of a nest. Nendo continues to rule design with this whimsical Winnie the Pooh inspired furniture set. 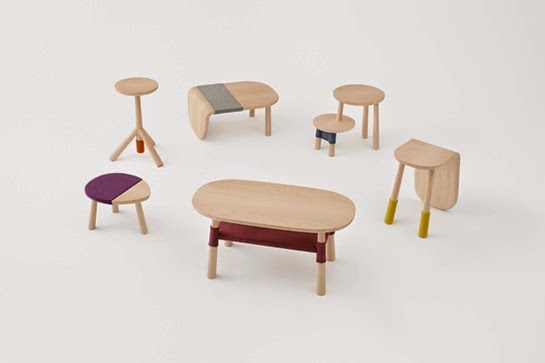 Created by Nendo for Disney World Japan, the stools and tables - while minimalist and understated - are intended to reference the characters in the beloved children's story: the Pooh stool wears a crimson-knit cozy which resembles his signature crop top, the Tigger stool sports a tiny orange cover for his tail while Kanga and Roo come as a conjoined unit. Have a look after the jump and see which of the other characters you recognise. Architect Stephen Mendes is responsible for this modern renovation and extension of a house in the western corner of Trinidad and Tobago. The refit was designed to take advantage of the house's location and to achieve the best views of the ocean while maximising the security of the occupants. 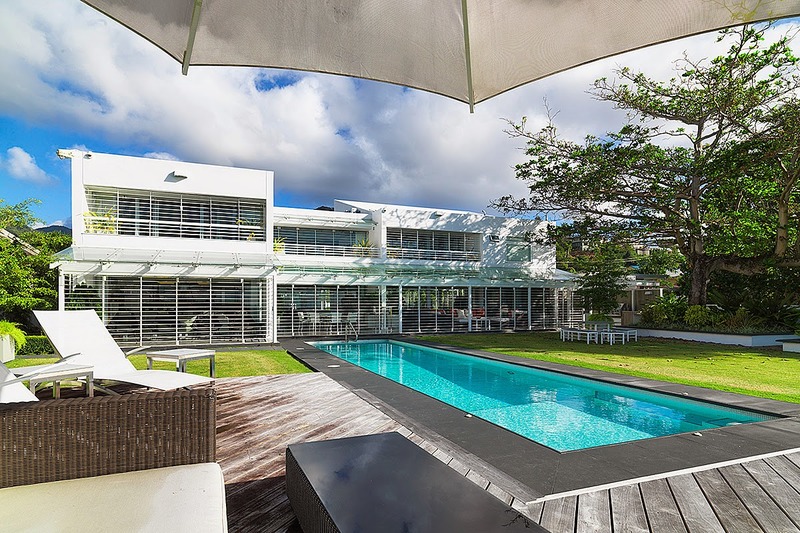 This was managed in a stylish and contemporary manner by the use of sliding and folding glass doors and metal security grilles which were treated as an architectural detail. The two-story house has a central, double height courtyard which provides unobstructed views of the water from the entrance and most of the rooms on the ground floor. The house is situated on a medium–sized, flat, seafront plot of land and the landscaping of the property was designed to complement the simple, contemporary lines of the house. Like a science-fiction version of the traditional Acapulco chair, Italian furniture brand Moroso presented the Diatom stackable aluminium chair at the 2014 Salone del Mobile. 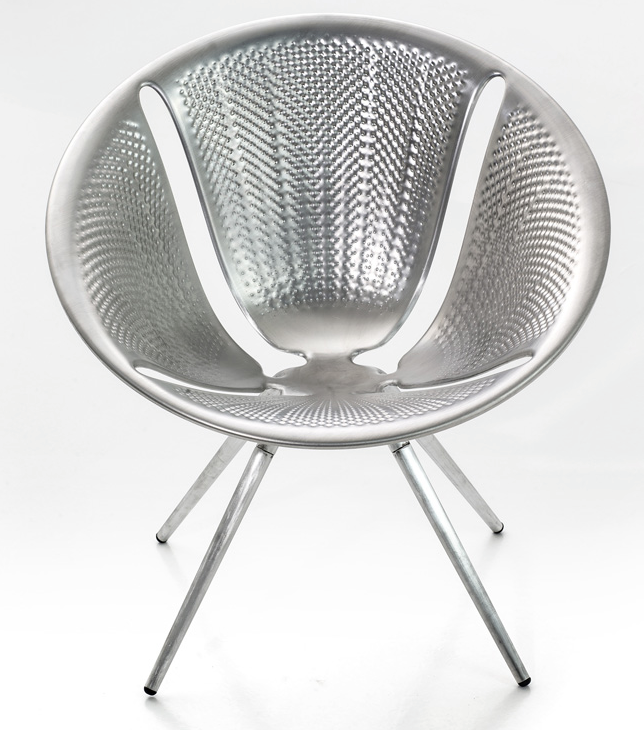 Designed by British designer Ross Lovegrove, the chair is modelled after the frustum of a diatom, a primordial single-cell organism with a silica skeleton that the designer discovered at the seaside as a child. The production of the chair utilises die-cast aluminium sheeting technology developed by the automotive sector which reduces its weight by eliminating the need for steel and also lowers the production cost of the chair. 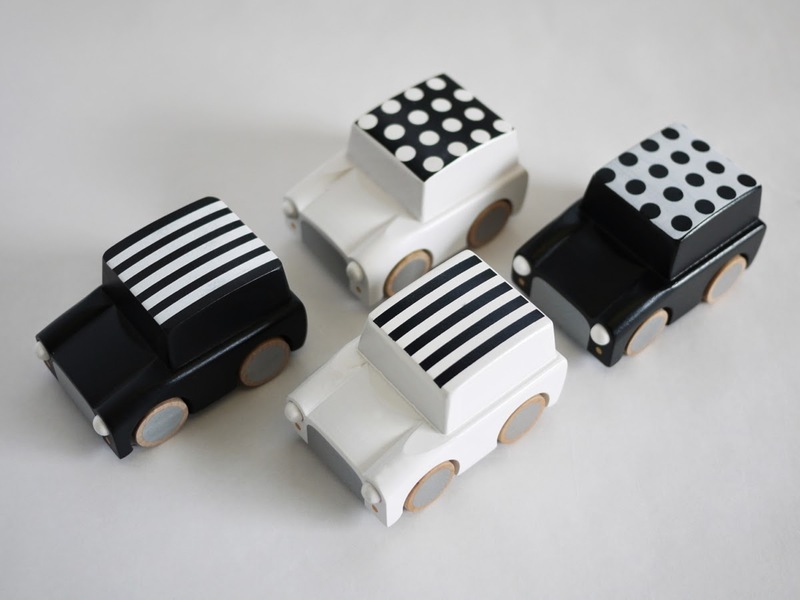 Kukkia's Kurama toy car is sized perfectly for the small hands of children. With a simple silhouette and a nostalgic feel, we like the graphic touches and limited, monochromatic palette. The car has a built-in, pull-back motor which allows it to run unassisted. The Kurama car is made from Beech wood. 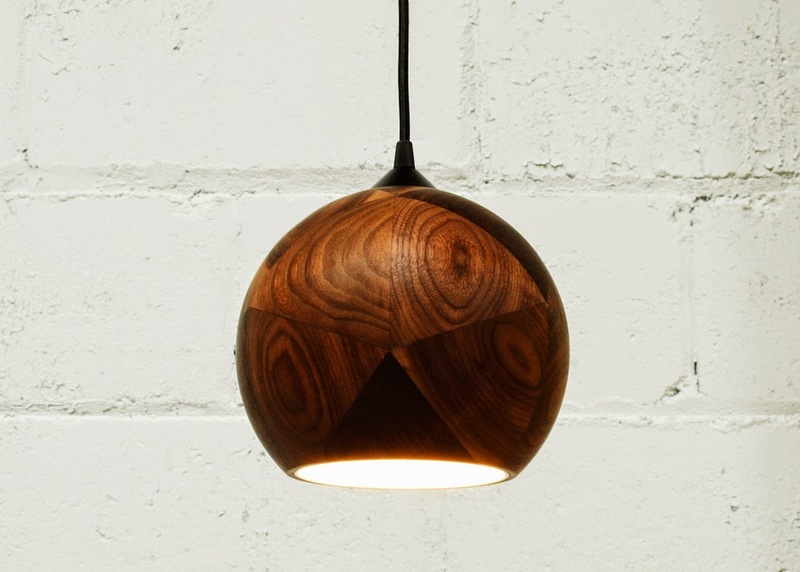 Named after the national drink of Bermuda, the Dark + Stormy pendant lamp by the National Design Collective with its spherical wooden shade was inspired by Buckminster Fuller. 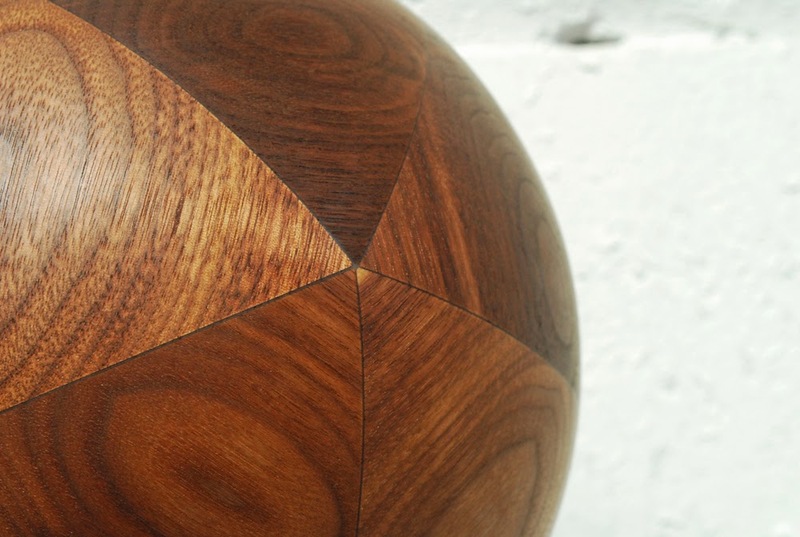 The light is handcrafted in Canada by lathing 20 pieces of cut walnut into spheres. The inside of the lamps are finished with a handspun aluminium reflector and the lamps are wired with a 10 foot long cord. Brdr. 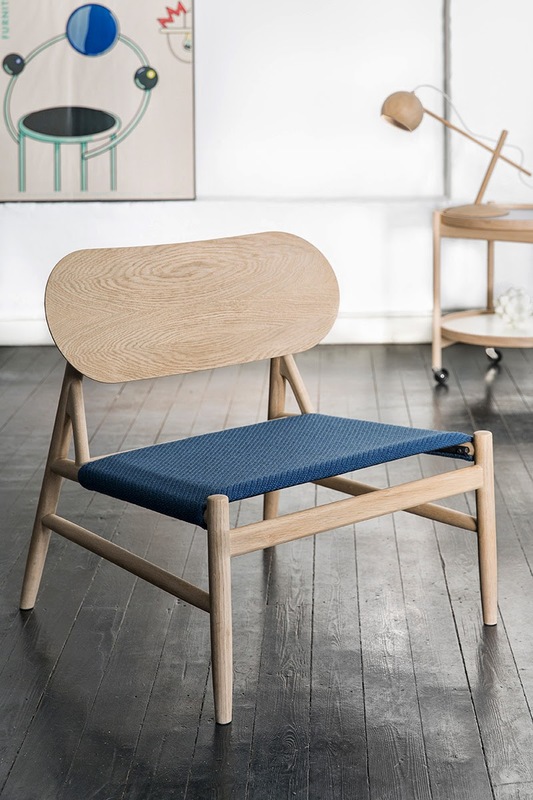 Krüger recently launched a new chair with a mid-century feel. Called the Ferdinand Lounge Chair after one of the company's founding brothers, it is the first piece in a series where Brdr. Krüger offers a new twist on tradition. Designed by Danish design studio OeO, the chair was conceived in close consultation with Brdr. Krüger’s master craftspeople. The vision of the chair was to create a signature design that reflects contemporary sensibilities, while honouring the legacy of 20th century design. Woodturning is a key element of the structural design, a technique which combines classic craftsmanship with high-tech manufacturing. The result is a bold and distinct design where the backrest and the frame effortlessly meld together. The chair is available in soap-treated and black-stained oak and comes with a leather or upholstered seat. 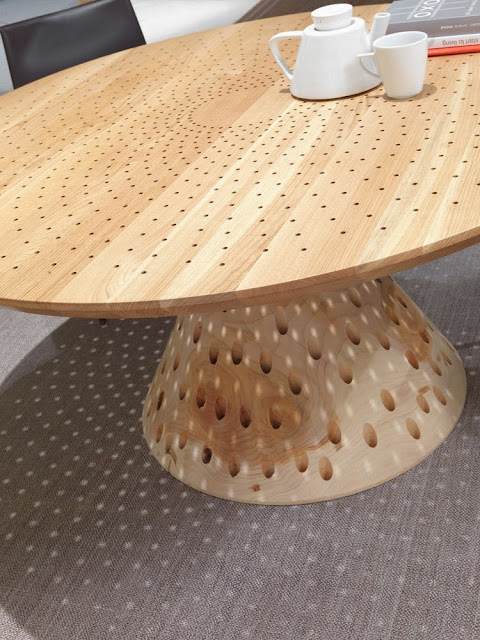 This new version of the Colino round table designed by Michele De Lucchi has a series of holes drilled through it which create a decorative effect particularly when lit. 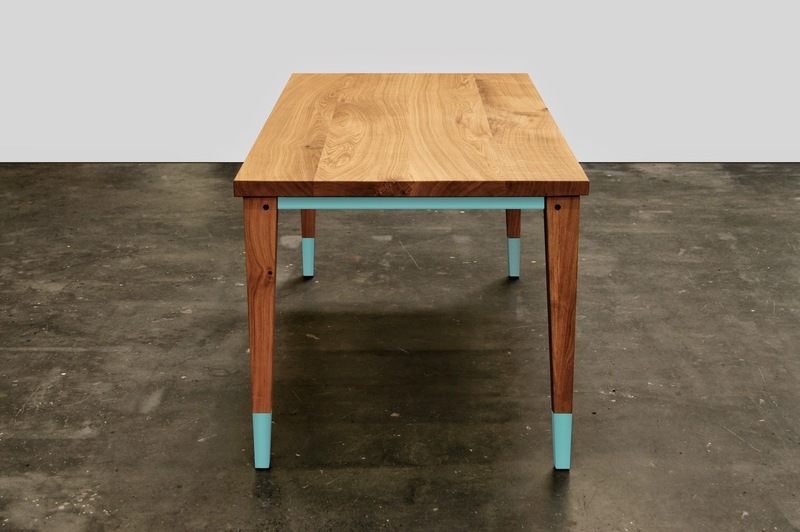 The table is made of solid cedar wood and also comes in a rectangular and a square version. 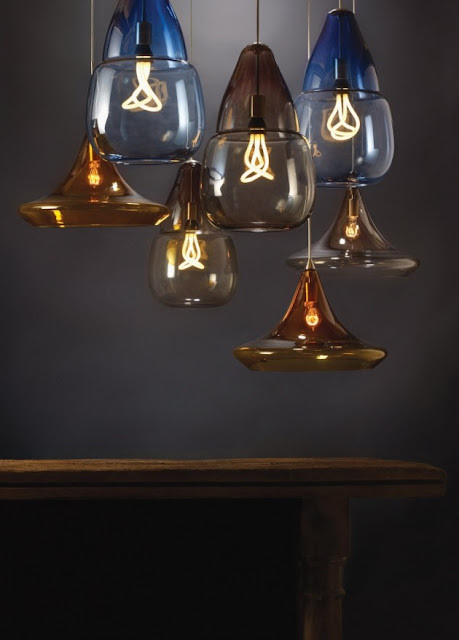 Tech Lighting have designed the Caspian Grande and Mali pendant lights. Hand-blown by Italian artisans, the Moroccan-inspired shape of the large-scale glass pendants provide a dramatic backdrop to any room. 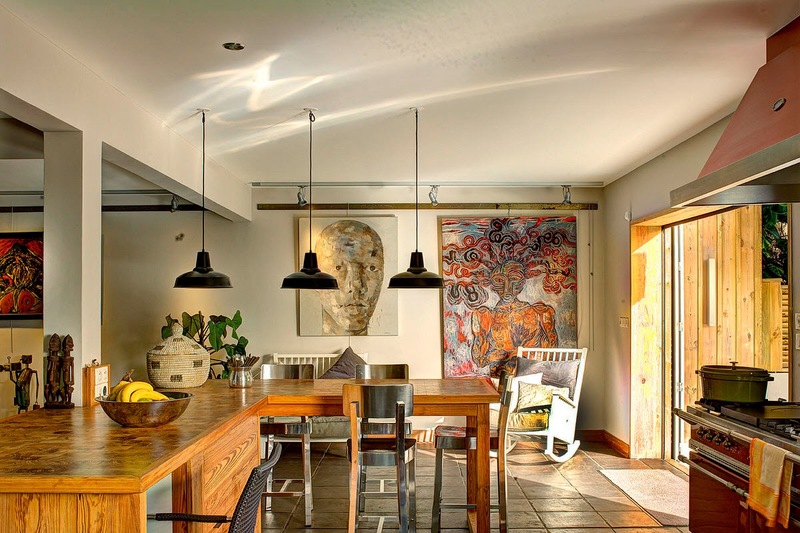 The pendant lamps can be used individually or clustered together. The lamps are available in a black, satin nickel and white finish options highlighted with satin detail and clear cable or an antique bronze finish highlighted with antique bronze detail and brown cable. 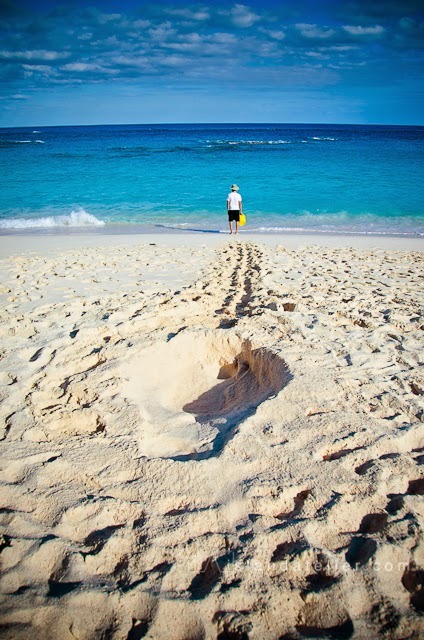 Heavily influenced by Richard Long’s A Line Made by Walking and the collaborative works of Marina Abramovic and Ulay, Working for Nothing was a 24-hour collaborative endurance art project staged by Centipede Art Movement, a new grassroots coalition dedicated to the promotion of contemporary art in Bermuda. Made up of Enjelisa Foggo, Sidney Mello, Sheridan Ming, Michael Walsh and Zarai White, the participants took turns over the day long event to carry bright yellow buckets of water from the ocean to the beach whereupon they poured the buckets' contents into a hole dug in the sand in the shape of a Matryoshka doll, an image that recurs often in the work of one of the participating artists. Although appearing simple on its surface, the piece was intended to address important Bermudian issues by associating value with an activity or experience rather than an object. Working through the night, the participants wore a path to the waterline and effected the gradual evolution of the size and shape of the hole. 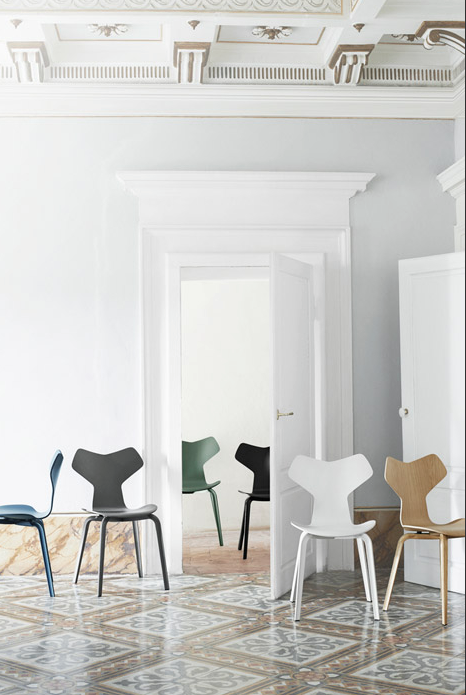 Danish brand Republic of Fitz Hansen recently reintroduced Arne Jacobson's classic grand prix chair with a new twist. The newer version of the chair is available in either oak and walnut with a clear lacquer or in coloured ash and the base of the chair supports two different kinds of legs: chromed steel tubes or wooden legs. 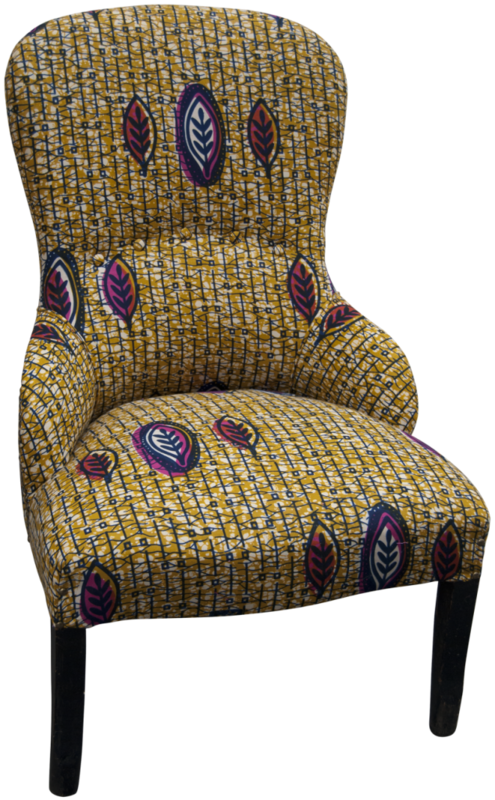 The chairs can also be upholstered in leather or fabric. 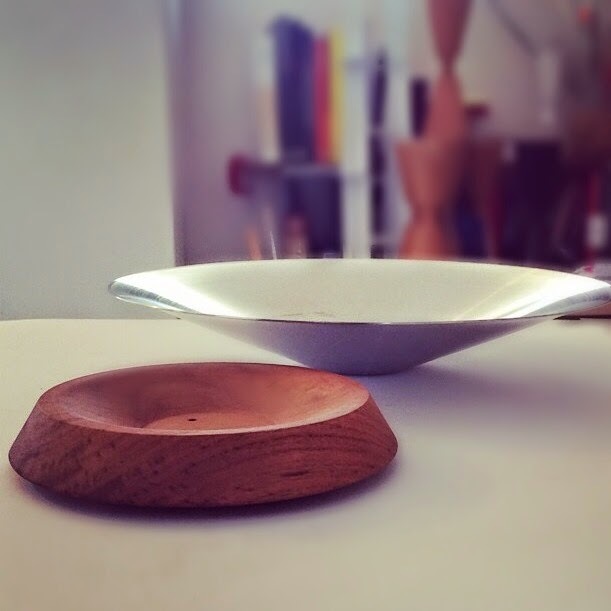 These bowls designed by Marlon Dabreau of By Making are incredibly versatile without sacrificing aesthetics. Made of wood and metal, the bowls are intended to be used as serving dishes and can be combined in two ways or used individually as standalone pieces. 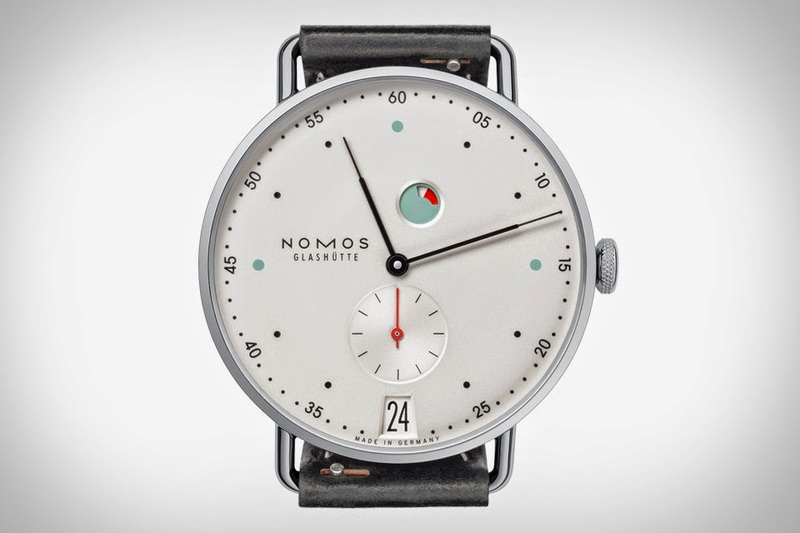 The Metro watch by Nomos is elegant in its simplicity. Featuring narrow, oxidised steel hands, minimalist indices and an open, galvanized white-silver plated face, the watch eradicates unnecessary clutter while maintaining all of the most important elements. The stainless steel case features a sapphire crystal on the front and back, which allows viewing of the manual-winding movement. The watch also comes with a black shell cordovan strap and is water resistant to three atmospheres. 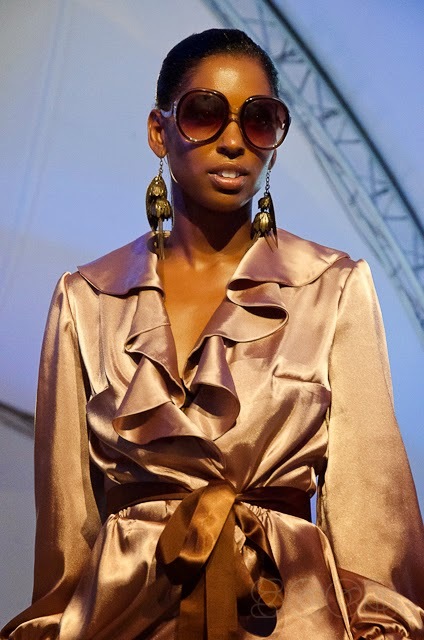 The local designer showcase closed with Tropixal by Alshante Foggo. With an emphasis on swimwear, the designer paired one-pieces and bikinis with colourful wraps, cropped tops and t-shirt dresses which featured her own brightly-coloured, photo-realistic tropical images on a black background. Rochelle Minors who was featured here a few weeks ago, presented her final university collection entitled Windows at the local designer showcase under the name Rochelle Nicole. Designer Brittany Wolffe who formerly repurposed clothing under the label A Touch of Kima debuted her first proper collection under the name LoveBomb last night. Wolffe exclusively used white as the foundation for the womenswear collection and featured lace and some tailored pieces. 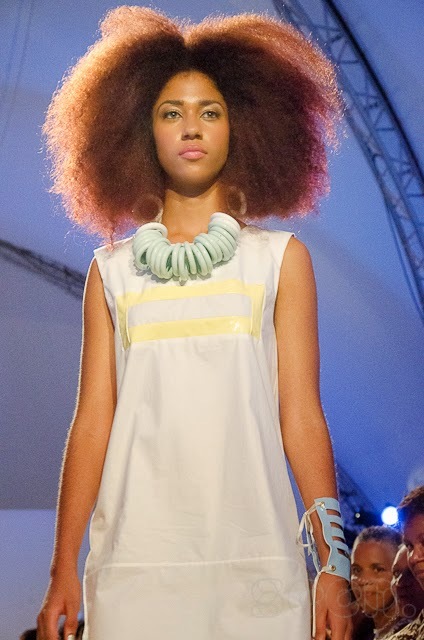 A fun, bright collection from Vintage Vibes by designer Colleen ‘Nahlijah’ Williams whose mentor Matthew Henson, fashion editor at Complex magazine, was able to provide the self-taught designer with invaluable guidance. The draped, wrap dresses which closed the show were particular standouts. 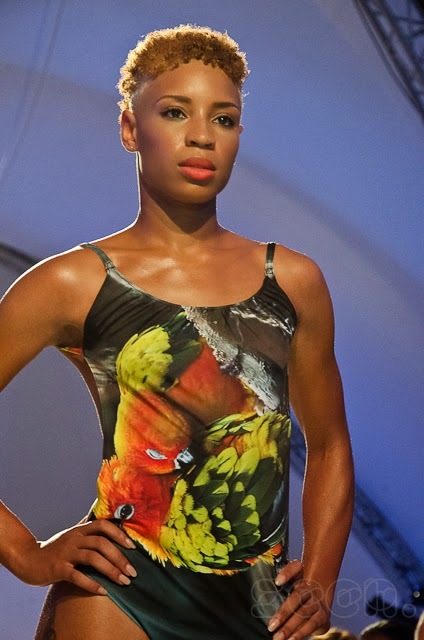 Bermuda's version of fashion week hosted by the Corporation of Hamilton kicked off on Monday with an avant garde hair and beauty show and continued last night as eight local designers assisted by international mentors showed their collections in front of an appreciative audience at the new rooftop location at Pier 6. First up was Juliana Gibbons' line of soft, draped dresses and separates in a muted palette of black and cream. Part of the Umbra Shift series which focuses on contemporary influences in the design community, the Coiled Stool is a lighthearted design spearheaded by Harry Allen. Inspired by the traditional basket-making techniques of the Philippines, the stool has a steel undercarriage which is covered with hand-woven threads over a rattan core in the shape of a tractor seat. The result is a comfortable stool which is intended to fit easily into casual and formal environments. 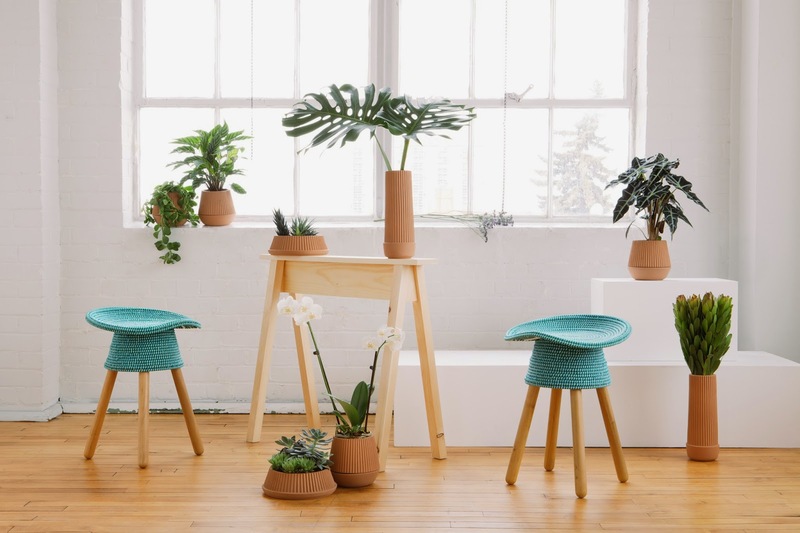 The Coiled Stool is available in aqua, red and grey. 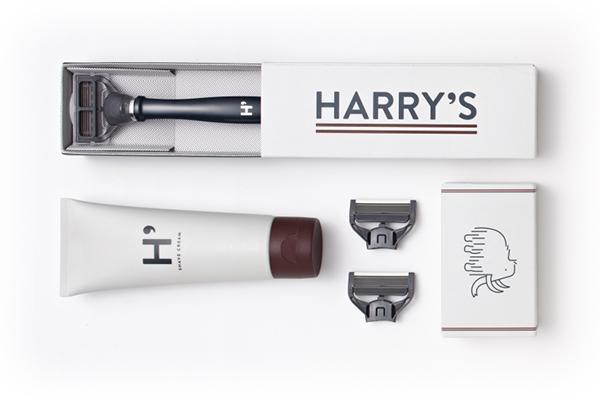 From Jeff Raider the mind that gave us Warby Parker comes Harry's shaving kit, a shaving supplies and grooming line. Together with co-founder Andy Katz Mayfield the idea behind Harry's is to provide premium shaving supplies at a reasonable price. Each kit comes with three blades, a handle, and a tube of shaving cream — enough to last one full month of shaving satisfaction. The razors are crafted by German engineers and are designed to deliver a sharp, clean shave. The custom shaving cream was blended together by some of the top chemists in the industry. For each set of blades purchased Harry's makes a donation to a charitable organisation. 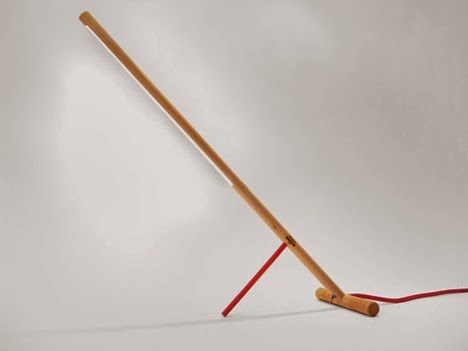 The Peg Lamp from Gagan Singh of Gagan Design is the personification of minimalism consisting as it does of a T-shaped piece of wood, a peg for balance and a cord. When placed on a desk or table, the peg leg holds the lamp at the perfect angle to illuminate the surface by the use of embedded LED lights. A switch at the base of the lamp turns it off and on and is the only adornment other than the brightly colored peg and cord. Hand-crafted from wood and finished with walnut oil, each lamp is made to order and can be customised with your choice of peg and cord colour. 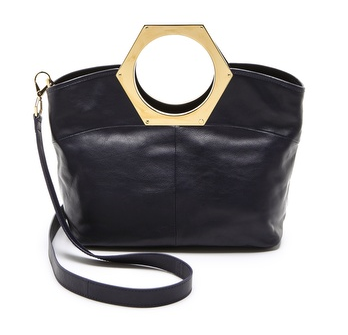 We approve of the trend towards handbags with metal hardware for handles like the Hex Handle tote bag from Jonathan Adler pictured above or the M2Malletier bar handle handbag pictured after the jump. Haitian-Italian designer Stella Jean recently teamed up with French retail giant Sephora to provide a sneak peek of her 2015 Home by Stella Jean project at Sephora's new Techno Experience Beauty store in Via Durini, Milan. The capsule collection comprises six vintage armchairs reinterpreted to reflect the designer’s Caribbean-Italian heritage. Late last summer saw the opening of Peter Doig's survey show at the Scottish National Gallery in Edinburgh. This was first major retrospective in Scotland for the former Turner prize nominated artist and something of a homecoming for the Scottish-born Doig whose primary residence for the last 11 years has been Trinidad and Tobago. 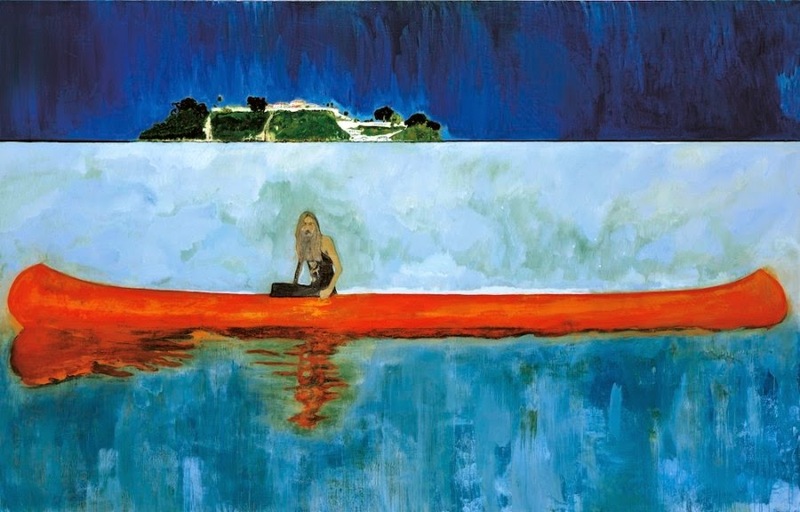 Doig's paintings encapsulate a dreamlike world suspended between memory and fantasy, but are full of symbolism including cultural and childhood references. All of the works in the exhibition were made since his move to Trinidad in 2002 and it is evident that his relocation directly impacted his art as it now reflects the country's luxuriant vegetation, heat and colour - a far cry from his earlier claustrophobic compositions of dense forests and falling snow. For the show, he exhibited paintings which were often haunting renditions of lone figures in landscapes or boats adrift. 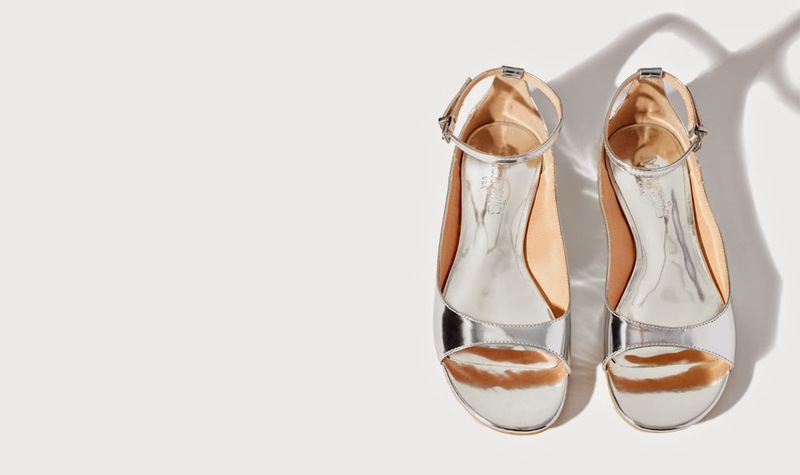 One of our old favourites, the reasonably-priced shoe line Marais USA has joined together with goop Gwyneth Paltrow's lifestyle brand to create a limited edition range of sandals for summer 2014. After a few years which saw one of the founders depart and its design direction stall, this collaboration is quite a coup for the small label. Featuring some of their previous styles slightly updated (cork instead of wedge heels for example), the shoes are intended to pair nicely with your summer outfit whether it be cut-offs or a cocktail dress. Bullenberg, a new furniture design company based in Berlin, Germany founded by two architects has designed this the Arx table. Bullenberg designs and manufactures custom hand-crafted wooden furniture and is concerned with the promotion of the beauty and strength of wood as a material, architectural design and integrity. The company is fundamentally committed to local manufacturing and much of the wood used is sourced locally from the forest of the von Alvensleben family in Saxony-Anhalt. The Arx table is the first series produced by the company and is designed to be highly individualised and can be varied by size or colour. The tabletop is made of three to four planks of oak while the frame is made of powder-coated steel to which four oak legs are mounted. 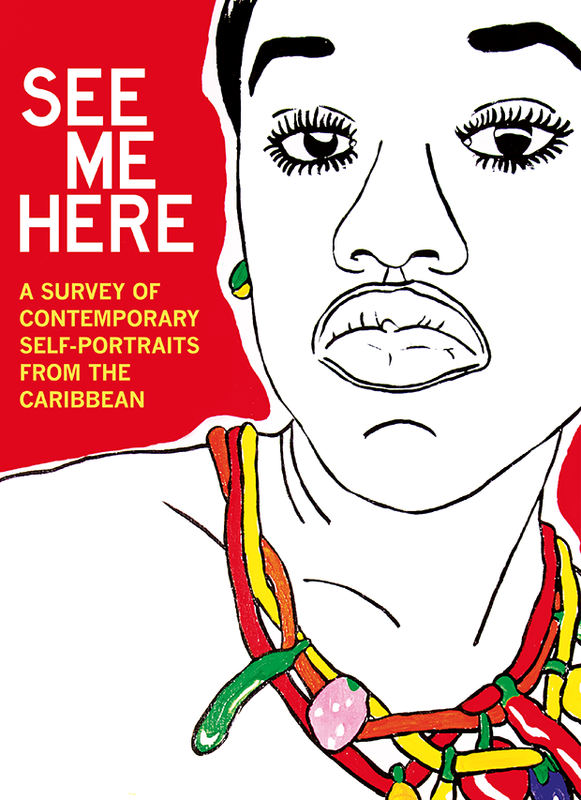 In April of this year, Robert & Christopher Publishers launched See Mere Here: A Survey of Contemporary Self-Portraits from the Caribbean, the follow-up publication to their book on contemporary Caribbean photography, Pictures from Paradise. With the "selfie" becoming an important medium of expression, See Me Here is a timely publication focusing as it does on self-portraiture throughout the region. It looks at artists who often use their physical selves as the inspiration for and an expression of their work. Edited by Melanie Archer and Mariel Brown, See Me Here features a critical essay by Marsha Pearce, and more than 380 images from 25 artists ranging from drawing and painting to photography, sculpture, installation and performance. 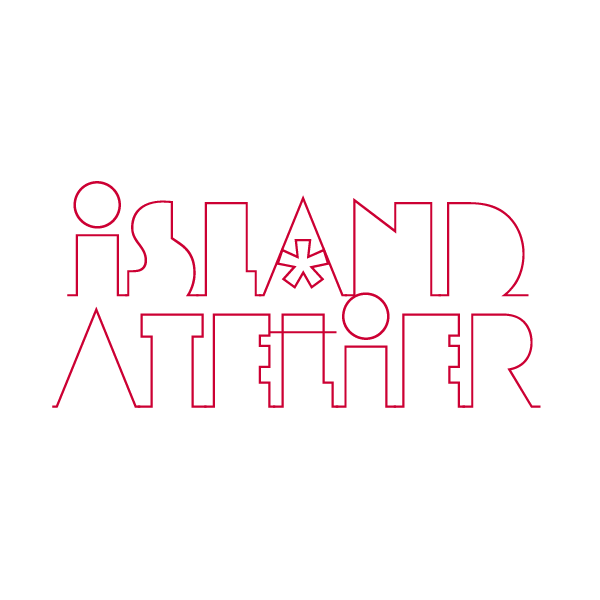 Eleven of these artists – Akuzuru, Ashraph, Susan Dayal, Michelle Isava, Jaime Lee Loy, Che Lovelace, Joshua Lue Chee Kong, Steve Ouditt, Irénée Shaw, Roberta Stoddart and Dave Williams – are from or are based in Trinidad and Tobago. The book’s other artists including James Cooper, John Cox, Renee Cox, Anna Ruth Henriques, Nadia Huggins and Olivia McGilchrist are either based in the Caribbean or have ties to the region.